Floor of the house by using a plain wood or ceramics may have been an ordinary thing. 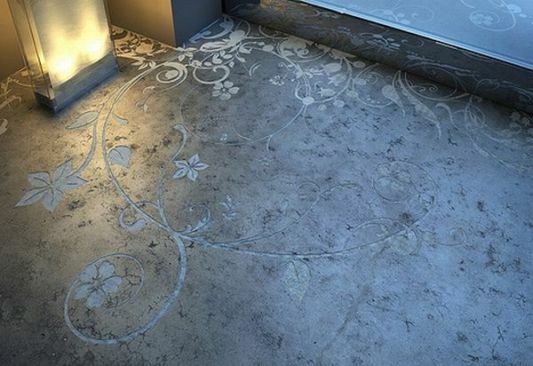 This is a great creative ideas for decorating your home interior, floors were made with designs and motifs carved an interesting and captivating. One who looks creative and advanced to the floor of your home. 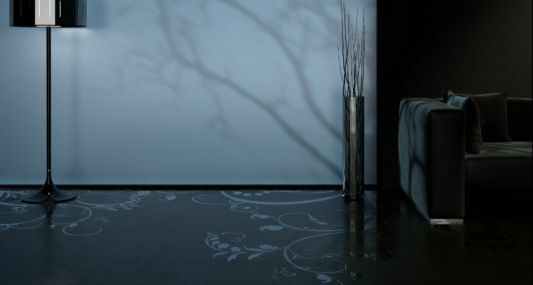 Contemporary design for the floor of this room was designed by Transparent House, a team of designers from Germany. 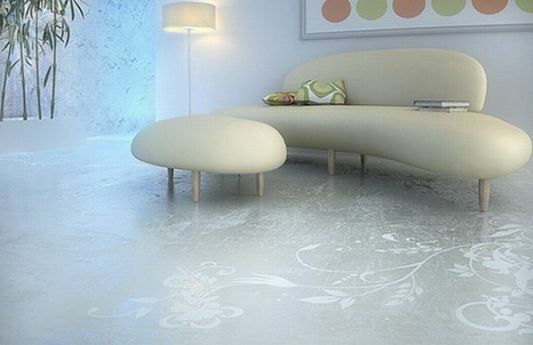 This is a way to improve the popular element of contemporary interior design such as polished concrete floors. . Delicate flowers to promote clean and simple character of the room while adding a touch of warm and live contrast and highlighting the cold material savings. The design concept allows the application of any pattern to the surface either when pouring or after wards when the concrete has set. 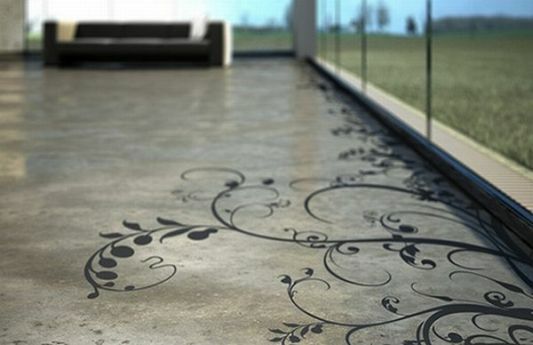 Design a house with contemporary style will be more coherent with this contemporary floor.